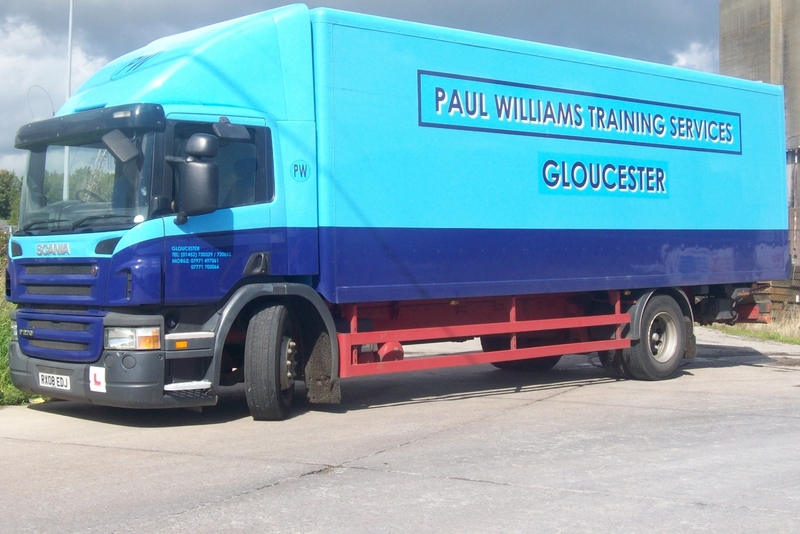 Here at PAUL WILLIAMS TRAINING SERVICES we have trained lots of young people to get their B+E licence. If you passed your car test after 1997 you were only given a car plus small trailer licence. The trailer weight would not be over 750 kilograms and it would not have brakes. 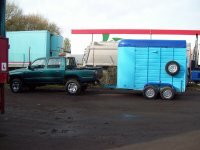 As Gloucestershire being in a very rural area people with horse box trailers could not drive them on the road.Most caravans come into the B+E category as well. First thing to do is check you have the Provisional entitlement on your licence on the green paper part this is the B+E. Then you can ring us for an assessment drive using OUR Vehicle. We assess your reversing skills on our Large reversing area before going out on the road for an hour. Here we can see if you have any bad habits that you may have picked up while driving your car.we will also tell you what the examiners are looking for to Pass the test. Awareness and planning would also be assessed due to the size and weight that you may be driving once you have passed your test. In your Driving Test you will be required to uncouple and recouple the trailer safely. The Vehicle we use for our tests is a two Axel Horse Box Trailer with front and rear tailgates. The wheels and tyres protrude outside of the box so you have a good all round view when towing. Our Toyota pick up has lots of glass windows all round so you can see the trailer well when reversing and it is slightly narrower than the trailer. Courses are put together after the assessment drive ranging from 1 - 3 days according to the skills that are assessed. The Test will be on your last day of Training. As with all our courses the DVSA Instructor will advise and help you to pass your test.